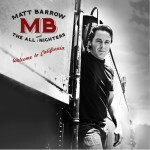 Matt Barrow And The All Nighters » MB & The All Nighters at the Piano Bar!! Home » Events » MB & The All Nighters at the Piano Bar!! MB & The All Nighters at the Piano Bar!! The Piano Bar is by far our favorite venue to play in Hollywood and we always look forward to let it fly there!! Come on by you will not be disappointed! !